Chefs Curtis Stone and Geoffrey Zakarian answer questions; oat milk; spaghetti, marsala-style. 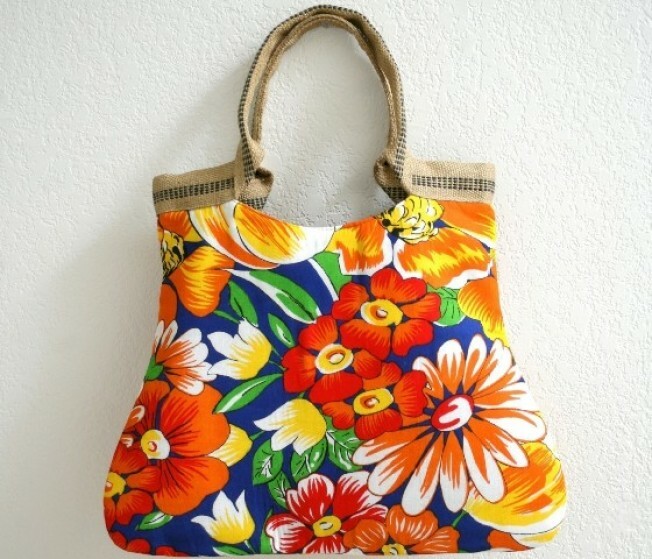 This tote bag is made of Brazilian chita, a traditional and popular fabric in South America. TAKE ME TO BRAZIL: It doesn't get more summery than this tote bag by local designer DrikaB, and with its rich colors and functional shape, you'll be sure to use it well into the fall. Margarida Chita Basic Tote, $69. MAD HATTER: In the market for a hat? Alternative Design Studio (also known as ADS Hats) in the Mission has been in business for 15 years, and they're celebrating with a massive sale. All inventory is 30 percent off, even on already discounted pieces. Sale runs through August 31st. LIKE MUSIC TO MY EARS: Tonight is the last night of the Summer Jazz Concert Series at the Stanford Mall. Stop by around 6 p.m. to hear the Jessie Scheinen Quartet serenade you while you shop.